I just got Clover the Cloaked in plush form! As of tomorrow night, I'm done with the semester and putting the first half of my senior year behind. So super close to finally being full-time dev! Also, I got my very own plush of Clover from Unicorn Training! Thought I'd never see this until Adventures in Equica became a modestly popular series. A super great surprise gift. Get an eyeful of this plush masterpiece and see what games I've tried to port to Windows Phones this week below the page break! This gamedev week has been a good one. It really warms my heart to see her like this. I've dreamed of having this exact plush since I first finished her sprite. It was a custom order my girlfriend surprised me with! They even snuck in the Yotes symbol! Best Birthday/Christmas gift ever. Having a Clover plush really inspires me. I feel like a great gamedev even though IGN's never written about me. I spent a lot of time on SteamSpy in class dreaming about selling as well as Undertale. Uploading to any new app store is going to be a week-consuming pain. I spent most of the week trying to get my games on the Windows 10 Store. Just like uploading to Google Play, iOS, Samsung, Amazon, or any other distribution portal, there are a ton of hoops to jump through. It gets easier over time as I memorize steps that aren't explained clearly enough, but man... The first time is always rough. Here we are 40 Visual Studio builds later and I couldn't figure it out for the life of me. I'm holding off until next year and if simpler tools still aren't available by then, the Windows 10 version of BGP will just have to be post-launch like localization. Curious to see what happens over the holidays. Will anybody seeking pony games find me? 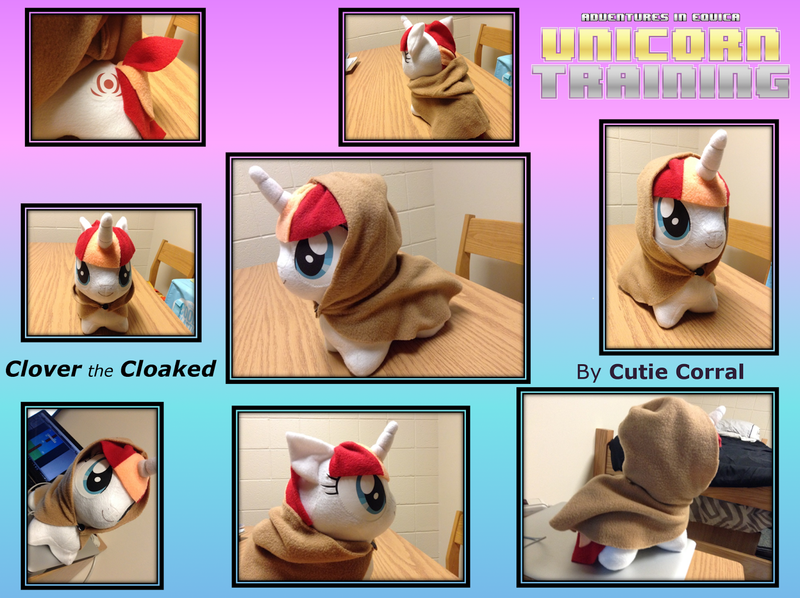 Clover was on Equestria Daily's Plushie Compilation post. I guess that counts. I have my big senior game project presentation tomorrow. After that I'm clear for winter break. Things like PSX are happening, BronyCon is approaching faster than I'd thought, I'm watching YouTubers and indie devs flourish all around me, I traveled to New York in the Christmas season to see consumers enjoying the works of creatives, and I have a list of the last 6 classes I'll ever have to take for the rest of my life. I'm feeling overwhelmed with determination and inspiration. I hope everyone reading this can soon enjoy my labor of love 50 weeks from now. Copyright © 2013 Anthony Pendley. Simple theme. Powered by Blogger.